A 21-year-old man is fighting for his life in hospital after he was struck by an SUV while standing in a transit shelter downtown, Toronto police say. 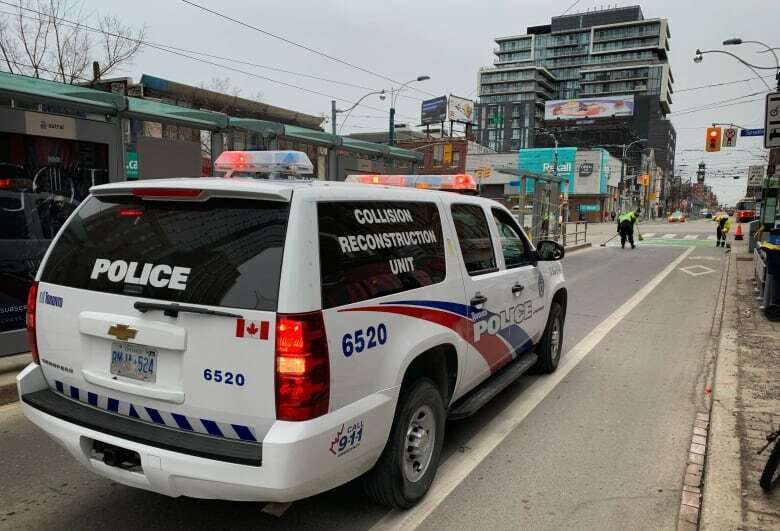 Police say the collision occurred on College Street near Spadina Avenue. Officers were called to the scene at 1:53 a.m. When police arrived, they found a man with what were believed to be serious injuries. He was rushed to a trauma centre, Toronto paramedics said. His injuries are now considered to be life-threatening, according to Const. David Hopkinson, spokesperson for the Toronto Police Service. The driver fled the scene. 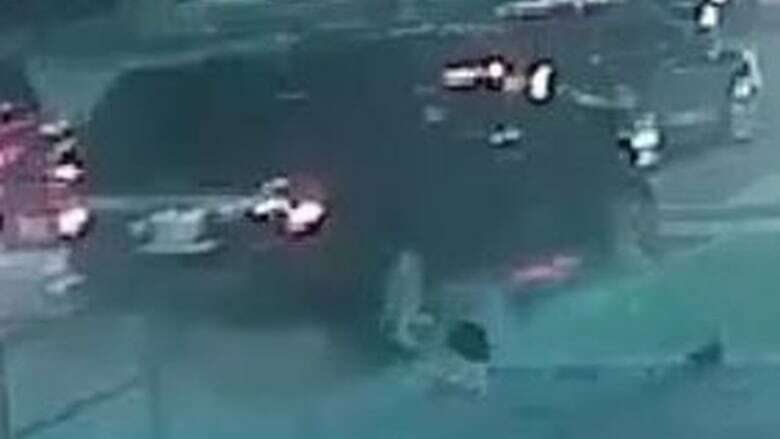 On Sunday night police released a video image of vehicle which they believe is a Ford Expedition, 2015 to 2017 model, or a Lincoln Navigator, 2007 to 2017 model. It's missing a side view mirror. Hopkinson said the driver of the vehicle, a black SUV, had mounted the curb and hit the pedestrian, but police do not know if the driver did so deliberately or not. "We are investigating it as a collision currently," he said on Sunday. Officers taped off the shelter, which is located in the middle of College Street, and are canvassing the area for witnesses and security camera video. 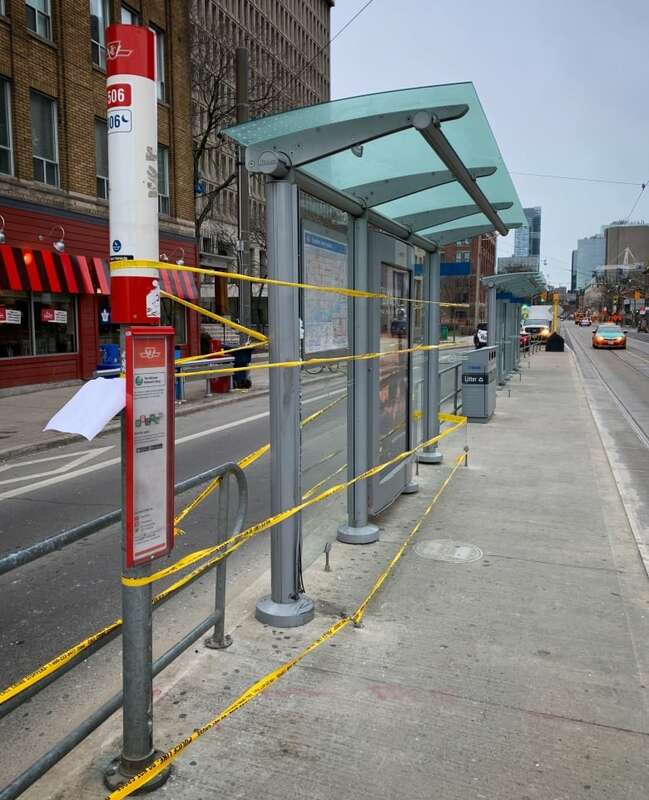 The Toronto Transit Commission said the collision prompted the TTC to divert the 506 Carlton streetcar temporarily but regular service has resumed.